Also serving communities of Brandywine. There are 19 Assisted Living Facilities in the Waldorf area, with 7 in Waldorf and 12 nearby. The average cost of assisted living in Waldorf is $4,338 per month. This is higher than the national median of $3,346. To help you with your search, browse the 35 reviews below for assisted living facilities in Waldorf. On average, consumers rate assisted living in Waldorf 4.2 out of 5 stars. Better rated regions include La Plata with an average rating of 5.0 out of 5 stars. Caring.com has helped 12 families in Waldorf find high-quality senior care. To speak with one of our Family Advisors about assisted living options and costs in Waldorf, call (855) 863-8283. Waldorf, Maryland, is about an hour southeast of Washington, D.C., so it's largely populated by commuters who work in the DC Metro Area. Even so, about 8 percent of Waldorf residents are at the retirement age of 65 or older. Seniors seeking assisting living services can choose from eight facilities within the city and another 33 facilities in nearby communities, such as Clinton and Upper Marlboro. 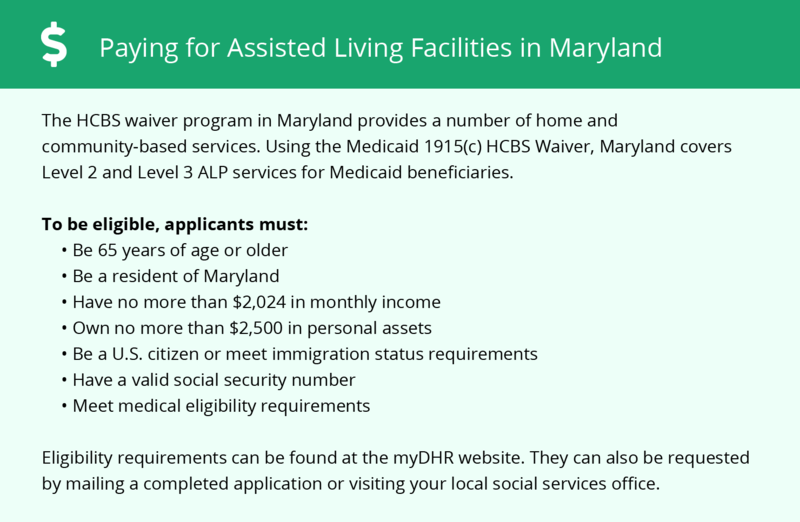 Assisted living programs in Maryland provide help with activities and personal care in a community-based house or apartment complex operated by the program. Each facility in Waldorf and throughout the state is licensed by the Maryland Department of Health and Mental Hygiene to provide up to three levels of care. The cost of living in Waldorf is about 16 percent higher than the national average. However, the costs of health care, utilities, transportation and groceries are lower than the state average, making Waldorf a slightly more affordable city for seniors in Maryland. The weather in Waldorf can be hot and humid in the summer, with an average July high of 88 degrees. Seniors may prefer outdoor recreation in the spring and fall, when temps average in the 60s and 70s. In the winter, residents see about 15 inches of snow and average lows in the 20s. For its size, Waldorf has a lower than average crime rate and is safer than 30% of U.S. cities. The chances of violent crime and property crime are slightly lower in Waldorf than the Maryland average. Charles County provides public transportation throughout the county on the VanGO bus system where seniors pay half-price fare. Seniors with disabilities can use the Demand Response door-to-door service. Waldorf has an array of community resources for seniors, including senior centers for recreation, education, fitness and special events as well as a Senior Center Plus for residents who need more support to participate in local programs. The city of Waldorf includes attractions for seniors to visit for arts and culture, such as The Dr. Mudd House Museum, Regency Furniture Stadium and community events at the James E. Richmond Science Center. Assisted Living costs in Waldorf start around $4,338 per month on average, while the nationwide average cost of assisted living is $4,000 per month, according to the latest figures from Genworth’s Cost of Care Survey. It’s important to note that assisted living rates in Waldorf and the surrounding suburbs can vary widely based on factors such as location, the level of care needed, apartment size and the types of amenities offered at each community. 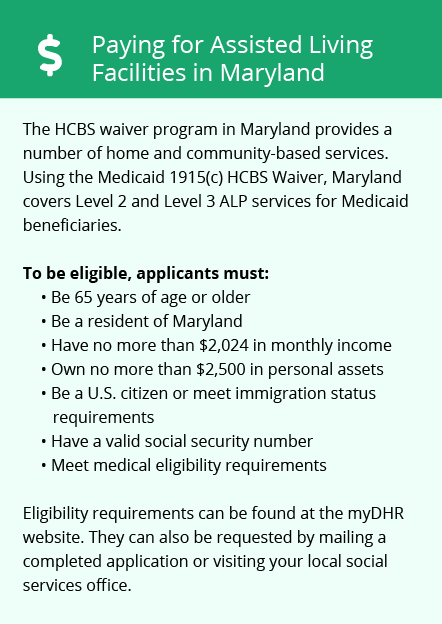 Seniors who receive Medicaid may be eligible for financial aid through Home and Community Based Waiver Services, which are intended for seniors who could qualify for nursing care but plan to stay with an assisted living program. A group home subsidy program is also available at participating facilities with up to 16 beds. Waldorf and the surrounding area are home to numerous government agencies and non-profit organizations offering help for seniors searching for or currently residing in an assisted living community. These organizations can also provide assistance in a number of other eldercare services such as geriatric care management, elder law advice, estate planning, finding home care and health and wellness programs. To see a list of free assisted living resources in Waldorf, please visit our Assisted Living in Maryland page. Waldorf-area assisted living communities must adhere to the comprehensive set of state laws and regulations that all assisted living communities in Maryland are required to follow. Visit our Assisted Living in Maryland page for more information about these laws.